President Muhammadu Buhari has scored another accolade for cherry-picking Senator Victor Ndoma-Egba and Nsima Ekere as heads of the Niger Delta Development Commission (NDDC) board. The Urhobo Youths Employment Initiative lauded President Buhari for believing in the ability of Ndoma-Egba and Ekere to bring an end to the longsuffering of the Niger Delta people. The group equally slammed calls by certain individuals for the dissolution of the NDDC board in December by President Buhari. The Niger Delta group said they were pleased and fully in support of the president`s choice of Ndoma-Egba as Chairman and Nsima Ekere as Managing Director of the NDDC. The group, which spoke through its Publicity Secretary, Comrade Efemena Victor Ikutegbe, described the calls as “ill-motivated and driven by corrupt considerations”. 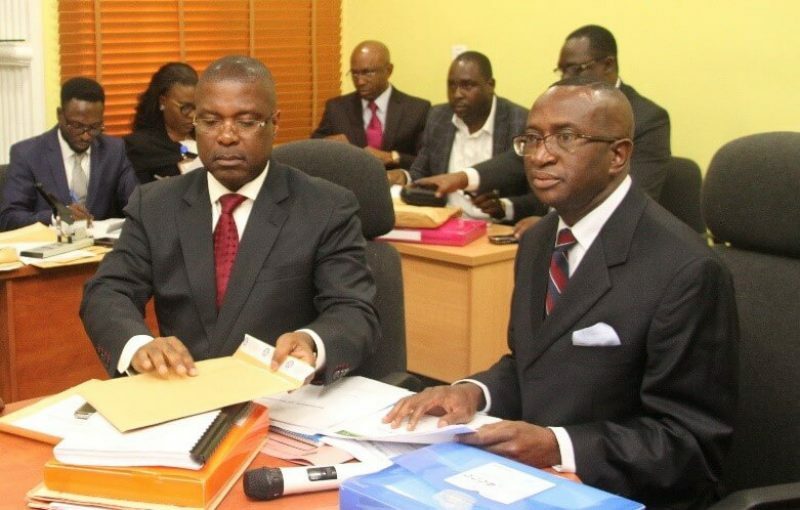 It further described proponents of the current NDDC board dissolution as “mischievous persons with poor knowledge of law seeking to unseat a performing board to make way for questionable characters and discredited politicians to return the NDDC to its dark days under the People’s Democratic Party, PDP. “The Senator Victor Ndoma-Egba, and Nsima Ekere led board was handpicked by President Muhammadu Buhari to bring genuine change to the longsuffering people of the Niger Delta for a full tenure of four years renewable upon performance in accordance with the NDDC Act,” said the group. The group thanked President Buhari for “appointing men of the high caliber of Senator Ndoma-Egba, Nsima Ekere, Samuel Adjogbe and their other able colleagues into the board,” the group claimed their appointments was “a testament to Mr. President’s commitment to a new way of doing things in the Niger Delta in line with his change agenda for the good of our people”.